I’ve never really understood the hoopla around awards, whether it’s the Oscars or the Grammies or Employee of the Month. I mean, I get that it’s rather spiffy to feel recognised by peers and all that, it’s more the incessant debate around worthiness that seems to coax a Bah Humbug from my grouchy lips. Will that stop me from commenting on the nominees for this year’s Dice Tower Gaming Awards? Probably not. There are plenty of ‘well of course’ appearances such as Jakub Rozalski in the Best Artwork category for Scythe, but I am quite surprised to see Adrenaline featuring in a few categories. If it were up to Stuart, Arkham LCG would walk away with everything, but thankfully it’s not! On to this week’s news! What’s that thing? You know, that thing? Yesterday, we were talking about that thing, what was it again? 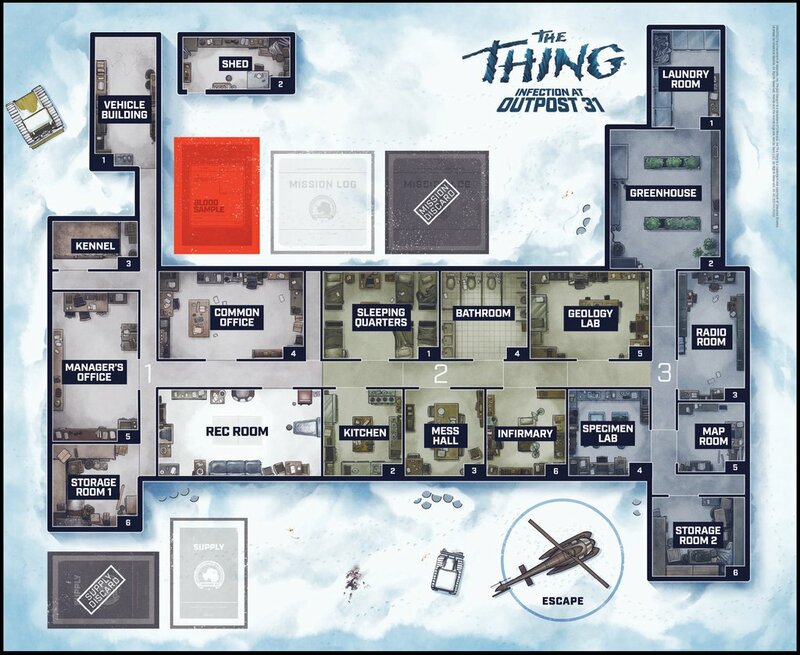 In a rather unusual collaboration, Mondo and Project Raygun have teamed up to bring you The Thing: Infection at Outpost 31, releasing in October of this year. Taking inspiration directly from John Carpenter’s sci-fi classic, this will be a hidden identity game available in two versions – retail and special edition limited to 1982 copies and available exclusively from MondoTess.com. Having played Five Tribes twice in the last few weeks, and being reminded of how much I really enjoy the game, I was delighted to hear that Days of Wonder have given a name to the much anticipated expansions that we were hoping would add a fifth player. 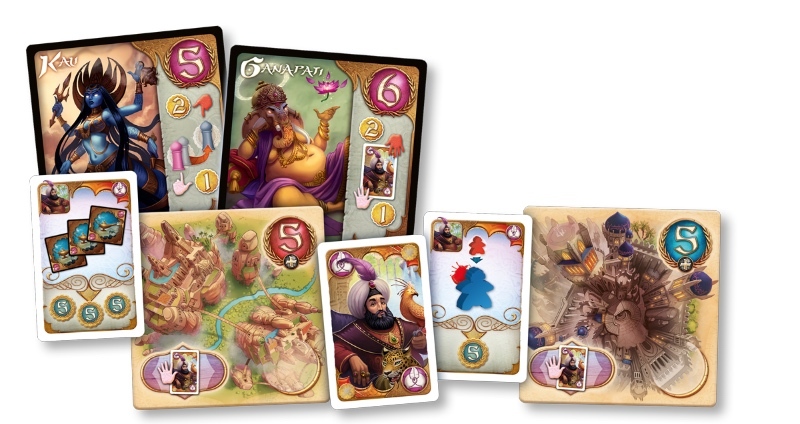 Whims of the Sultan not only introduces that extra player, but also five fabulous cities that offer the player who controls one a whim and two new Djinn cards. I know there’s been some debate about whether the game really needs that extra player and the potential impact it may have on a game that’s already heavy on AP, but personally I’ve always lamented not being able to introduce the game to a group of five and so I couldn’t be happier. Will I still be so after playing this at five? Time will tell. Martin Wallace has had an interesting last year or so – Treefrog Games closed down so that Wallace could focus more on his core design strengths and leave the production aspect to others, and both Hit Z Road and Via Nebula, both excellent titles, didn’t catch on as much as I’m sure he would have hoped. On the other hand, the recent Brass reprint Kickstarter has proven immensely successful, but to Wallace’s credit he forges ahead with new projects regardless. 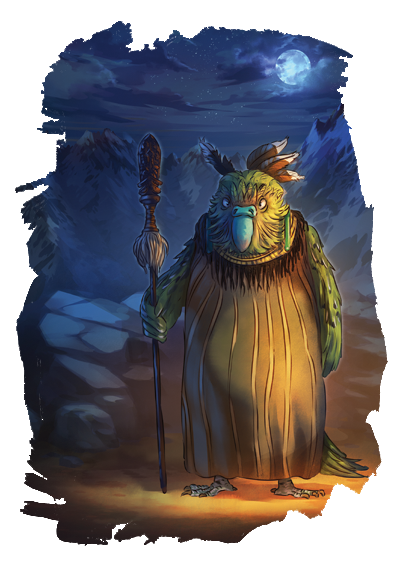 Which brings us to the Kickstarter for Moa, as the campaign page puts it, ‘a fantasy interpretation of the clash between the original inhabitants of New Zealand and the wave of settlers’. A territory control game with anthropomorphic birds? Why not. Star Wars Rebellion is getting its first expansion, and though we can’t say we were enamoured with the base game, we certainly know what it’s like when you hear your favourite game is getting more stuff. So Rebellion fans, rejoice! 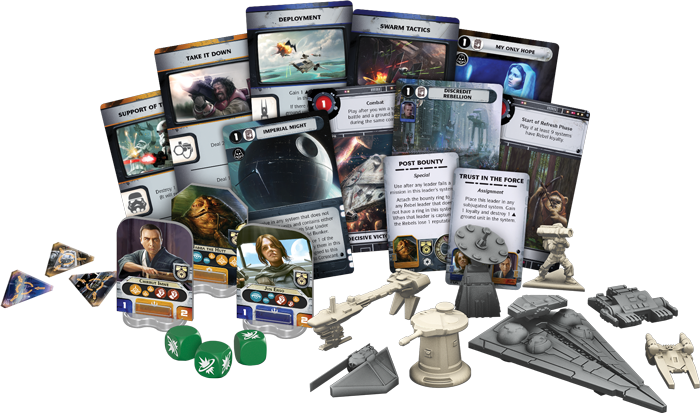 Rise of the Empire is focused very much on the events of Rogue One, which allows for a seamless integration with the base game in terms of storyline, although with the timeline existing prior to an operational Death Star you’ll need to play with the new mission decks. Expect new everything from minis to leaders to events to dice and combat seems to have been tweaked somewhat. Deadly Premonition is a videogame cult classic. First release in 2010, even though it holds middling review scores, the game’s charm and often not-quite-on-purpose humour blended with horror developed a following of very vocal fans. 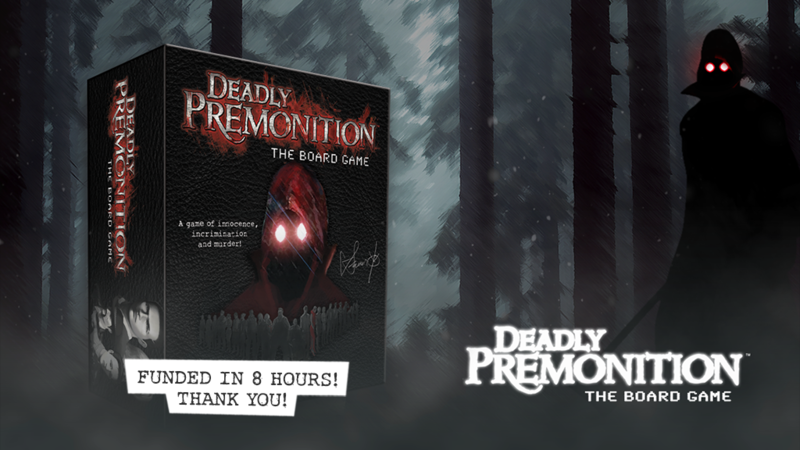 Cue Rising Star Games’ boardgame version, and any doubts as to whether fans would have any interest in a boardgame version were very quickly dispelled with the swiftness of their funding being achieved. I am curious though, with much of the game’s popularity seated in dialogue and the unexpected, will the cardboard version find a way to translate that weirdness? It certainly helps that the original creators are involved in the production, so keep an eye on this one, it could be something special. Here’s a thought – instead of fighting off endless zombie hordes, wouldn’t it be fun to lead one instead? 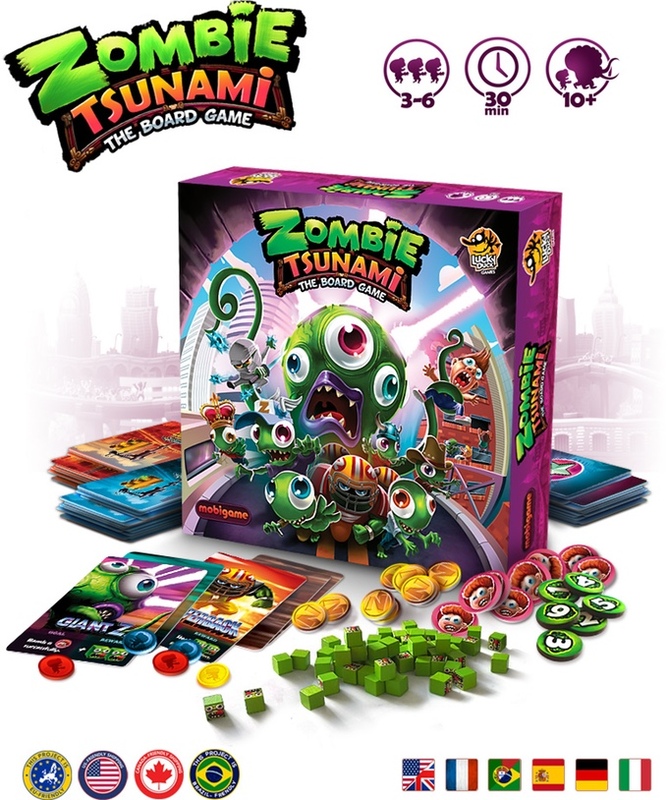 Lucky Duck Games happen to think so too, and have unleashed the colourful madness that is Zombie Tsunami upon the world of Kickstarter. It’s a party game for 3 to 6 players with the basic premise being to turn as many innocent civilians into slavering zombies. But since zombie hordes have no sense of fairness or species loyalty they’re not above lobbing a bomb at another horde. The production value and artwork look superb, and just $46 will secure you a copy including shipping. In keeping with adding a twist to established tropes, who else is tired of playing a hunter in Fury of Dracula and feeling clueless for most of the game? Or chasing down an agent in Spectre Ops who always seems three steps ahead? Horrible Games shares your pain, and have come up with the perfect solution – Alone. 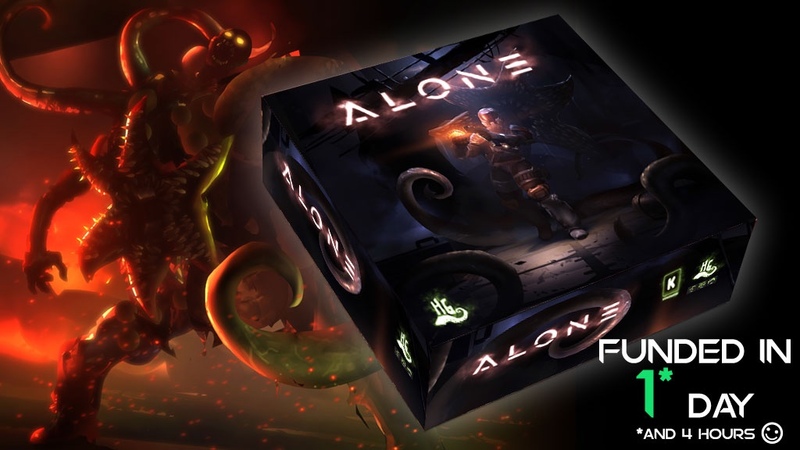 A scifi survival horror game for 2 to 4 players, the tables are turned as the castaway Hero has to explore an unknown map one treacherous tile at a time, as their former friends plot their downfall in the darkness. From the minds that brought you Potion Explosion, the Hero must survive traps and all manner of lurking creatures, using his wits and his trusty radar. Not too much happening event-wise this weekend, but it is GeekFest at Montecasino tomorrow and Sunday, and Timeless Board Games will be there. Good gaming all!